There&apos;s nothing like autumn in New York. The changing leaves create a scenic background more beautiful than can be imagined. If you&apos;re into road trips, here are some ideas to maximize your fall foliage viewing opportunities, with plenty of suggestions of what to do along the way. 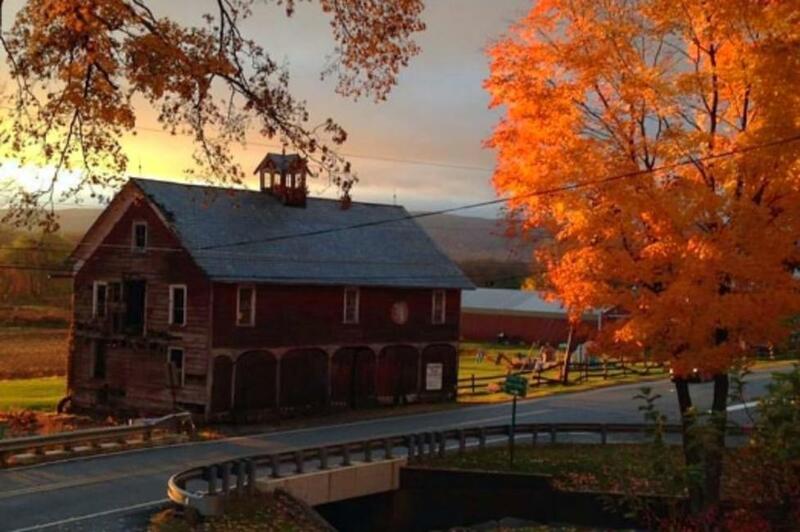 Plan your fall drive through the Catskill Mountains via the picturesque Upper Delaware Scenic Byway. 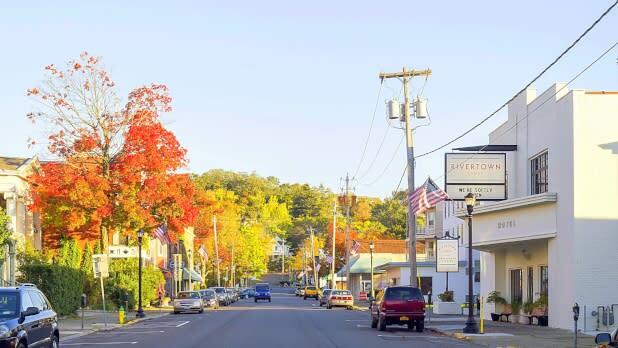 Just 90 minutes from Manhattan, along this scenic Route 97, you’ll find county eateries like Baker’s Tap Room, museums and historical sites such as Fort Decker, and antique shops; all surrounded by rolling hills and rock-cut landscapes. The nationally renowned Upper Delaware Scenic and Recreational River, which largely parallels the highway, offers numerous accesses for fishing and boating. Stop for the night at Blue Hills Farm which offers a unique "glamorous camping" or “glamping” experience. If glamping doesn’t sound like your cup of tea, Audrey’s Farmhouse is a bed and breakfast not only perfect for the human members of your family but also for your pets. The stunning Hudson Valley offers an ideal respite for city dwellers and out-of-towners alike. The Hudson Valley lies on either side of the 300-mile-long Hudson River, and stretches north to south through eight counties, from Albany in the north to Yonkers in the south. The region is easily navigable—take Interstate 87 east of the river and Highway 9 to the west, both heading north and south. Hudson Valley attractions include incredible vistas, charming villages with an abundance of antique shops, and incredible dining options. Fall is the perfect season to discover the more than a dozen vineyards along the Shawangunk Hudson Valley Wine Trail in Ulster County. Rest up for the night at the gorgeous Apple Valley Inn Bed & Breakfast or check out Rivertown Lodge, a 1920 converted movie theater with wood plank floors, a library, and a mix of vintage and refined custom-built furniture pieces. 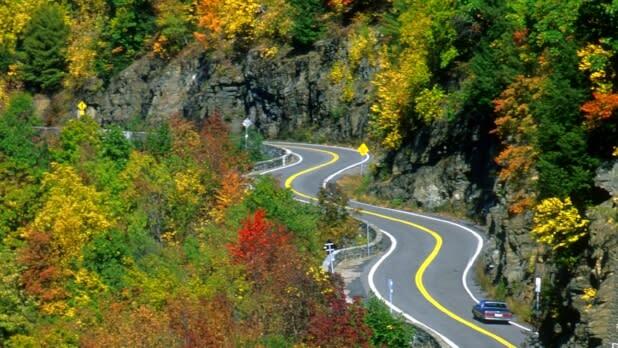 You&apos;ll see leaves in abundance on these spectacular scenic driving tours through the Adirondack Mountains. The High Peaks Scenic Byway takes you through the Adirondacks&apos; highest peaks and along some of its most pristine waters, including Chapel Pond, Johns Brook, Roaring Brook Falls, and the Cascade Lakes. High Peaks Resort in Lake Placid makes an ideal home base. 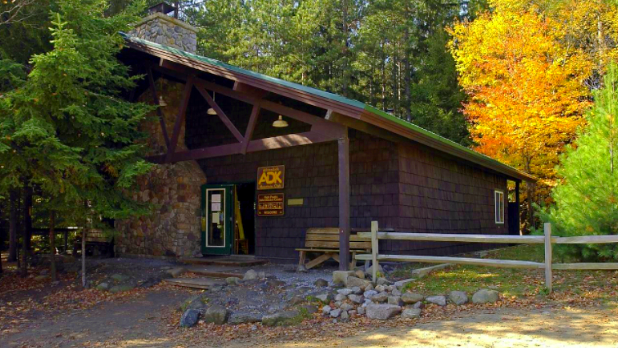 Adirondak Loj & Wilderness Campground offers private rooms, cabins, and camping grounds plus education programs and hiking information with ten miles of snowshoeing and cross-country trails. The ideally located Lake George Bed & Breakfast has some of the best views of the Adirondack Mountains. The Thousand Islands-Seaway region, with nearly 2,000 islands along 50 miles of the St. Lawrence River, certainly lives up to its name. The region is full of historic battlefields, museums, and lighthouses. Thousand Island Wine Trail has grown to include seven member wineries and 25 commercial vineyards that are family-owned and -operated. The trail runs through 78 miles of the North Country, winding visitors through the fertile farmland and quaint villages of the St. Lawrence River watershed. An ever-growing list of wineries and vineyards are open daily all year long, with seasonal hours. Visit Coyote Moon Vineyards, The Cape Winery, and Thousand Islands Winery to taste the large variety of wines the region has to offer. 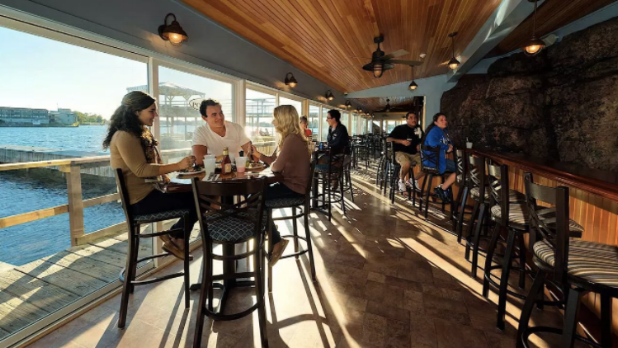 All that wine tasting may leave you exhausted, so rest up at the 1000 Island Harbor Hotel or the Bonnie Castle Resorts and Marina. The delightful Captain Visger House is a hidden gem and offers a unique stay in a renovated Victorian home among the beautiful Thousand Islands. Take a drive from Watkins Glen to Branchport to see all the wonderful sights the Finger Lakes has to offer. The Finger Lakes region is a patchwork of rich farmland and small towns, with a mix of 19th-century homes and quaint red-brick downtowns. The winding roads follow the lake shores, glide along the water&apos;s edges, and through rolling green farmland. A traveler cannot live on leaves alone! Add wine and cheese to your day of autumn explorations by planning a driving route that includes wineries and creameries. Check out the Finger Lakes Wine & Cheese Trails and work your way through the culinary delights. 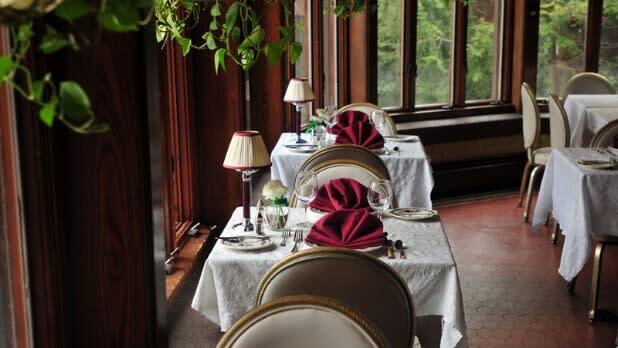 Rest for the night at the pretty Blackberry Inn Bed & Breakfast or the historical awe-inspiring Belhurst Castle, nestled on the shores of deep-blue glacier-carved Seneca Lake.